Conference themes, particularly corporate conference themes, are often over-hyped and over-sensationalised. That’s something you might expect of the Society of Editors who finished their conference last week. But their grandly titled conference theme: Magna Carta II: A Modern Media Charter, seemed somehow quite at ease. Not least because the conference was held at the very modern Runnymede on Thames Hotel in Egham. Quite a setting of course for this very grand Lord Patten speech. 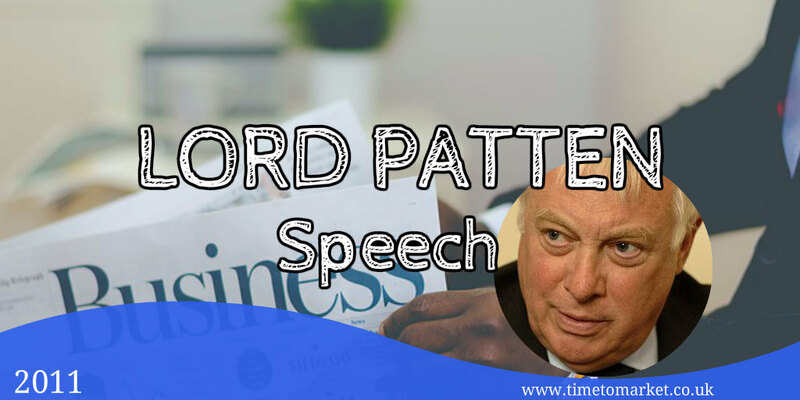 It was the historical background of Runnymede, the Magna Carta and its erosion of the King’s prerogative that formed a background to Lord Patten’s speech on press freedoms. But the modern backdrop to his speech was, of course, the opening of the Leveson Enquiry into phone hacking by the press. And with these two elements the Chairman of the BBC Trust proved again what an even-handed, straight-talking speaker he is. His speech took in a broad overview of press freedoms, press diversity and the strength of the press in the modern digital age. And he put particular emphasis on their strengths, their campaigning zeal and their role in democratic debate. He outlined three main arguments to this speech making very clear that statutory regulation of the press would be a mistake. He’s not an animated speaker, far from it. But there was a reassuring element to his slow and level-toned delivery. His pauses worked most of the time, but on one or two occasions they came in the wrong place nearly changing the point he wanted to make. His delivery is markedly different to the later Rowan Atkinson speech on a similar subject. But it’s equally important. You shouldn’t forget that pope Innocent III, you’ll remember Pope Innocent III, called the original Magna Carta, with just a hint of tabloid style, “Shameful, debasing, illegal and unjust.” Actually he did it in Latin, but that’s a rough translation. This was a well-constructed speech that held his small audience’s attention. 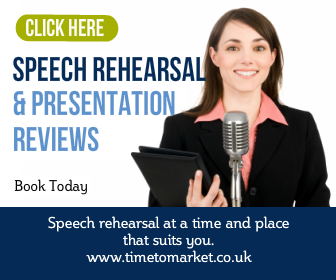 You can always discover more public speaking tips when you rummage through the Time to Market archives. So, in the spirit of press freedom, they are also free. 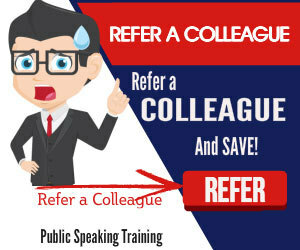 And, when the time is right for some more intense public speaking training or coaching, then please don’t hesitate to get in touch.